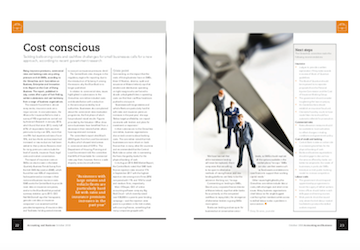 Article about how the cost of doing business affects SMEs. AB Ireland, October 2018. Article about Ireland’s corporate tax rate. AB Ireland, September 2018. 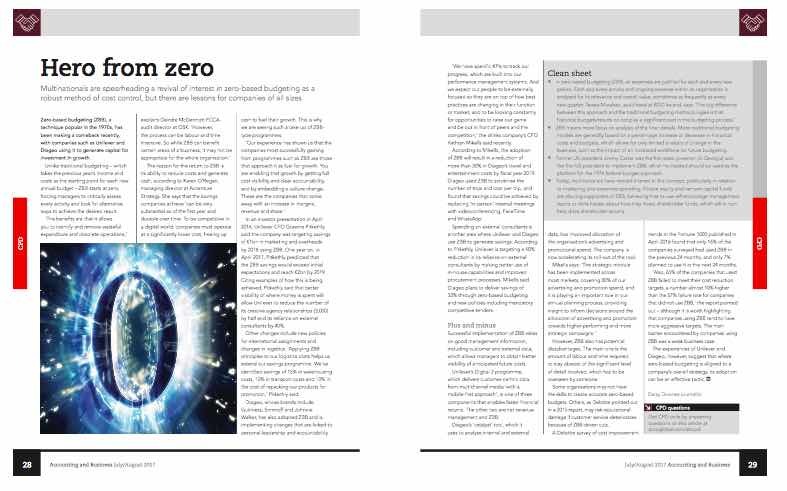 Article about the resurgence of zero based budgeting. AB Ireland, July/August 2017. 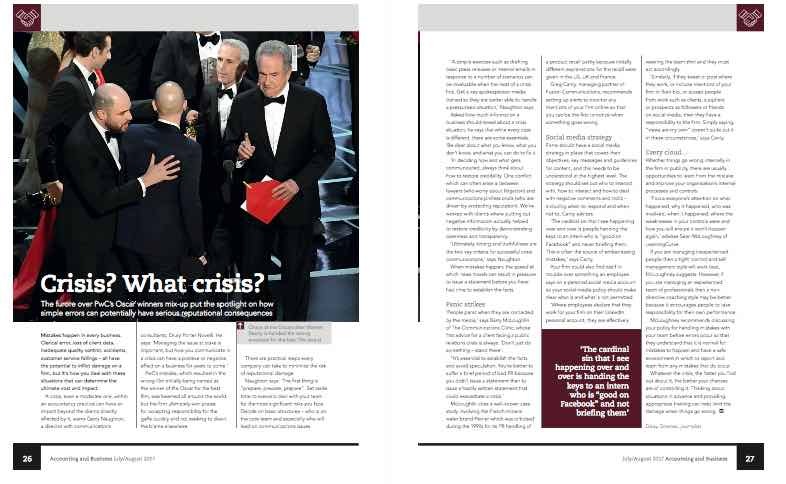 Article about crisis management. AB Ireland, July/August 2017. Article about our ‘always-on’ culture. AB Ireland, June 2017. 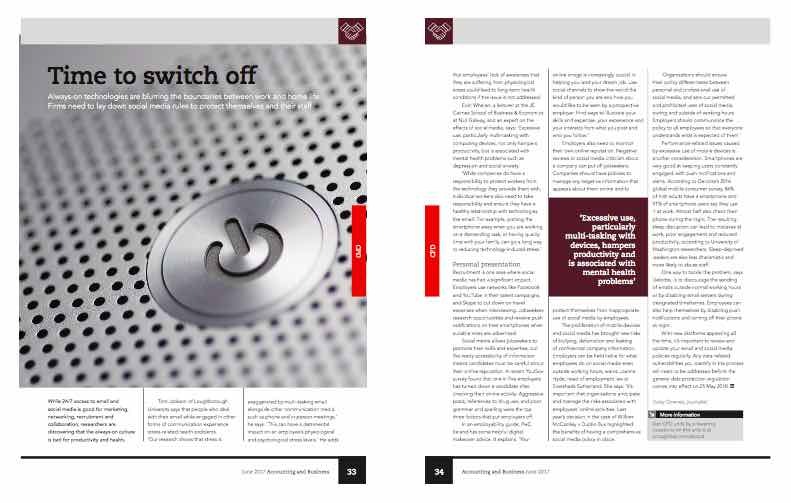 Feature in the March 2016 issue of Business Plus magazine. 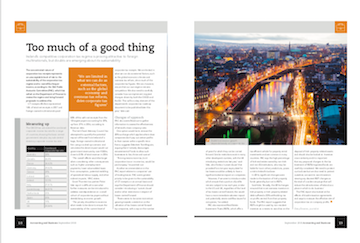 Read the full article in AB Ireland, February 2017. 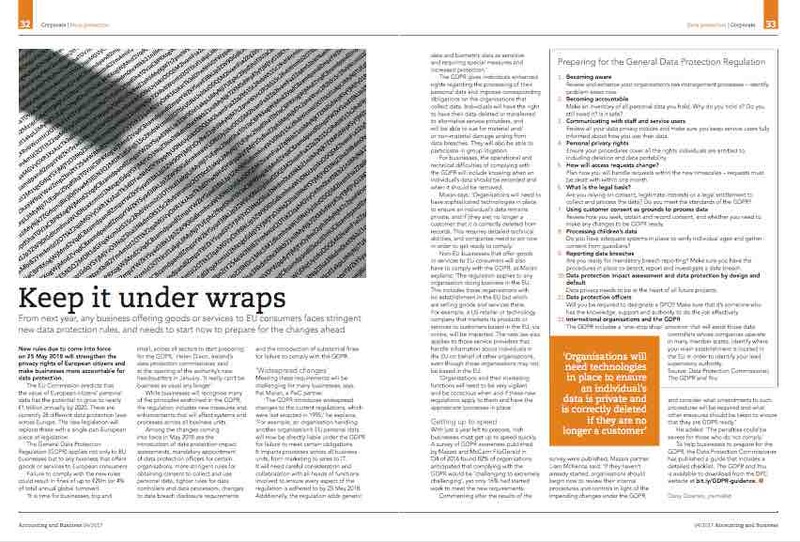 Read the full article in AB Ireland, April 2017. 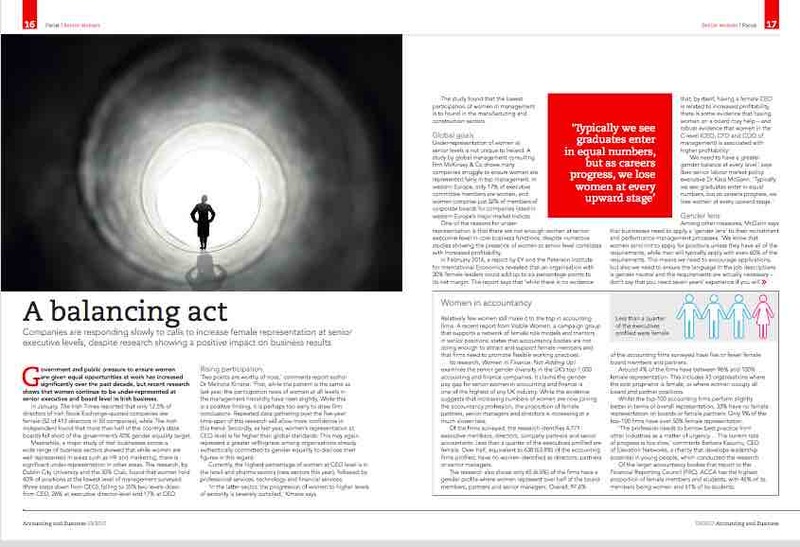 Read the full article starting on page 6 of Accountancy Ireland, August 2014. 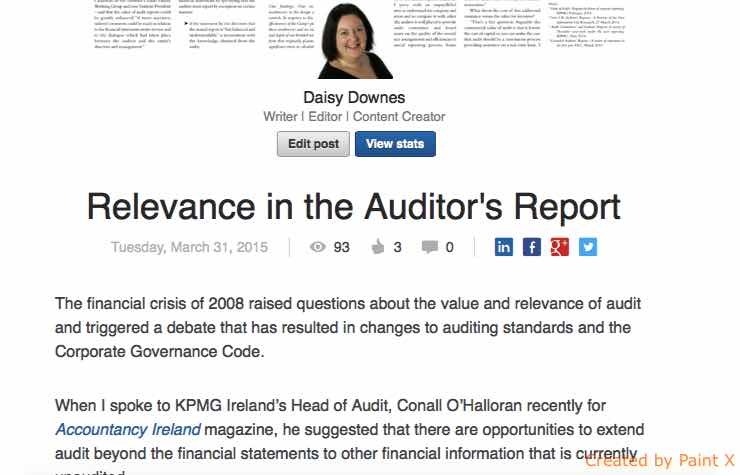 Read the full article in GAA Accounting, the journal of the Global Accounting Alliance. Read the full article on the LinkedIn Pulse service. 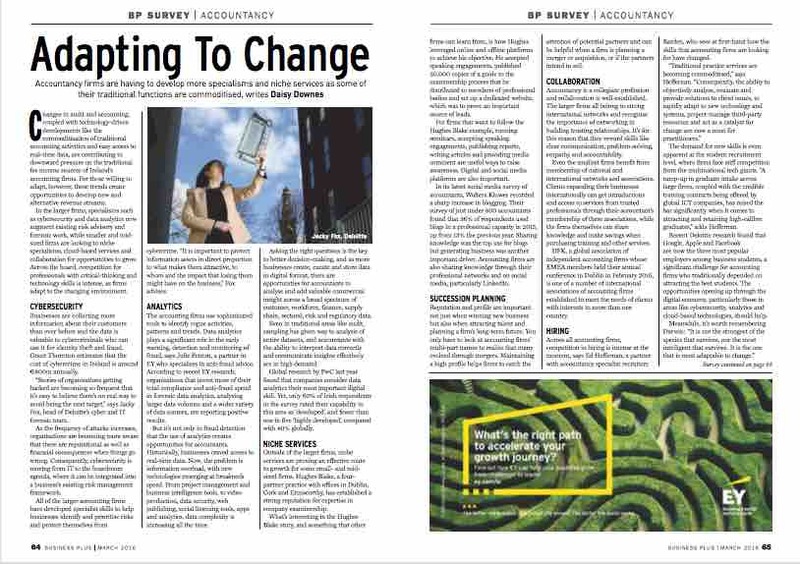 Read the full article in Accountancy Ireland, April 2014. 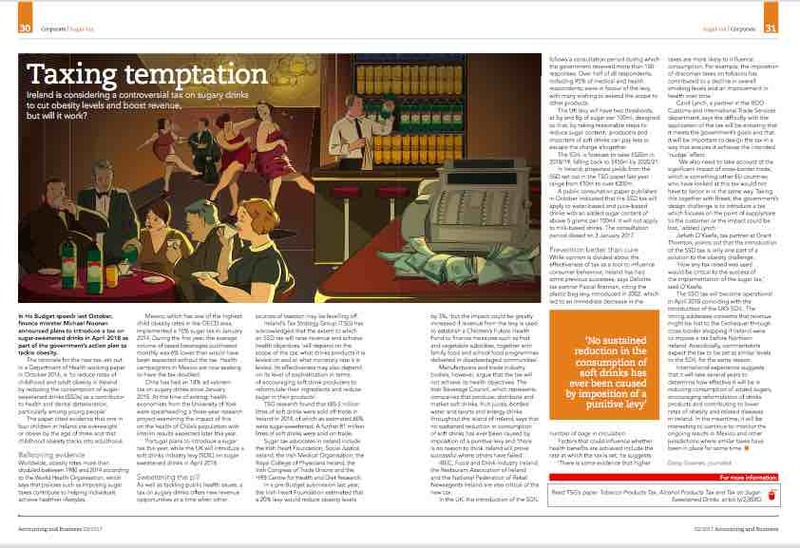 Read the full article in Accountancy Ireland, February 2013. Battle of the Standard Setters | by Daisy Downes | Sunday Business Post (full text not available online).